I have to admit, I like that title. 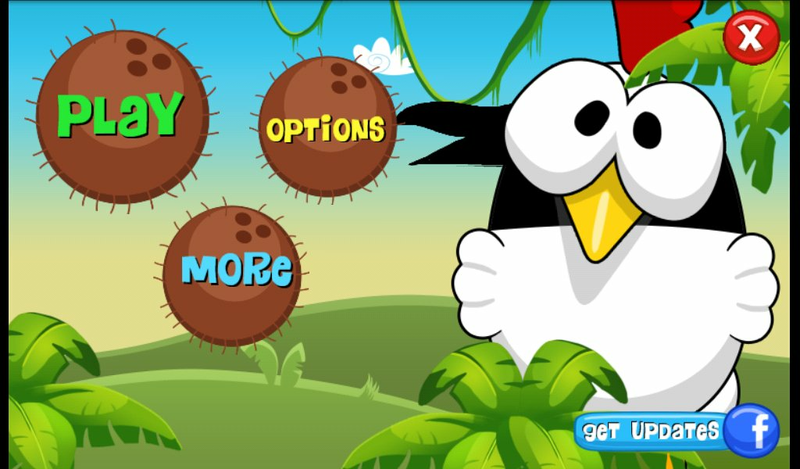 That was the first push to download this game. And then I found that this is one of the most fun game, I've ever played. 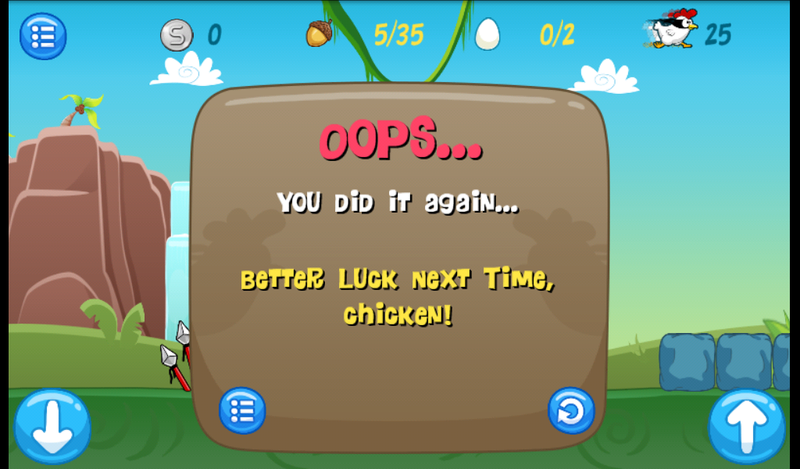 You steer the brave Ninja Chicken to defeat the levels by sliding or jumping. Nothing more. But you really have to time this exactly, while collecting stuff and avoiding enemies. 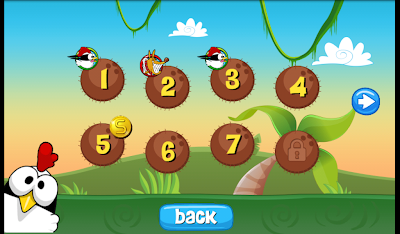 It's a modern level-based game, so you can quickly play a level and try as long as you want to beat it. And you can select any played level at any time. The graphics are nice and look awesome on tablets, too. It installs on SDCard automatically. I like that when an app does this. The sound is also very nice. The melody is fitting, but you'll hear it quite a lot. 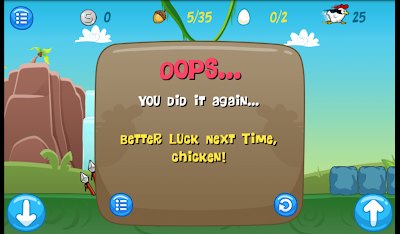 The sound effects are awesome :) Poor Chicken "Ninja?". And you will hear this pathetic scream quite often because the game gets harder and harder very quickly. Although the controls are responsive, and I never faced a slowdown, it's tricky and you have to react quickly. Of course there is a little downturn. 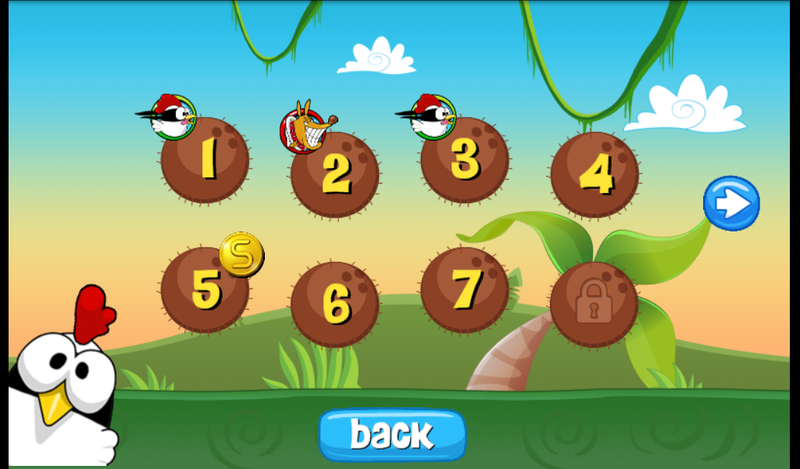 To play a bonus level, you are forced to install another app that also allows you to buy in-game coins. Sure, this is the way they finance the game. But installing another app, isn't much what I want. They would have better used the in-game selling API that Google offers. Still, it's definitely a recommendation if you want a simple, but fun game.